Cost of music tuition in Scotland is 'increasing inequality', parliament has been told. Charging for school music lessons increases inequality, MSPs have been told. The cost varies across the country, with free tuition in some council areas while others charge more than £500. This has been branded "unfair" by members of the Scottish Youth Parliament. Alice Ferguson, who represents Linlithgow, last year set up a campaign to save free music tuition in West Lothian, where pupils are now charged £328 a year. She said the price is "absurd" and that cheaper prices for private tuition were available. Pupils who qualify for free school meals are exempt from charges but Ms Ferguson said this does not help those just above the threshold who are now missing out on music tuition because of the cost. "I know a lot of my friends have dropped out of music just because they can't afford it, which is ridiculous," she said. "By introducing a charge, you are denying young people this opportunity depending on how much money they have, which just shouldn't be the case. "The council are wanting to reduce inequality but by charging for music they are increasing inequality." She said being given free music tuition in the past from primary school onward had helped her make new friends, gain confidence and build skills. The committee also heard from Catherine Mackie, MSYP for Glasgow Southside, who echoed this view. She said: "The benefits are there - mental health improves, you end up with more friends if you join a band or an orchestra, even grades can improve ... it seems like quite a clear solution to keep music free for everyone." Ms Mackie said without being given the opportunity to learn violin from primary school she would not have been able to sit senior secondary school exams in music. 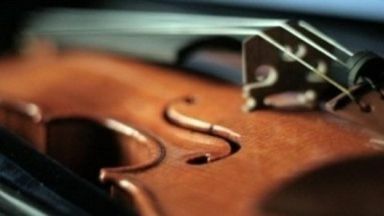 "Without learning to play an instrument, who knows what potential talent we might be missing out on? We could have the next Bach, the next Nicola Benedetti, the next anyone in our schools," she added. "You can't put a price on music."